Varna City Card – the official tourist destination card of Bulgaria’s sea capital. See more, pay less! 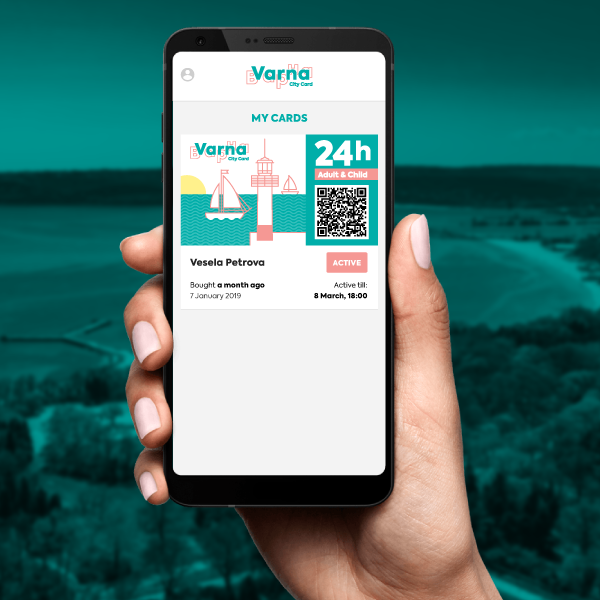 When you buy Varna City Card in digital format, you will receive an email with a downloadable image of your card. You can use it by downloading the image on your phone, printing it, or importing it to your Varna City Card mobile app! * You can use your City Card within 6 months after purchase. ** Depending on the type of card you choose, your City Card is active 24, 48 or 72 hours after the first validation. * A child is considered anyone under the age of 18. ** When buying an Adult & Child card, the adult can use the deal as described. Please take into consideration any limitations for the child, noted in the Terms & Conditions section of the deal.